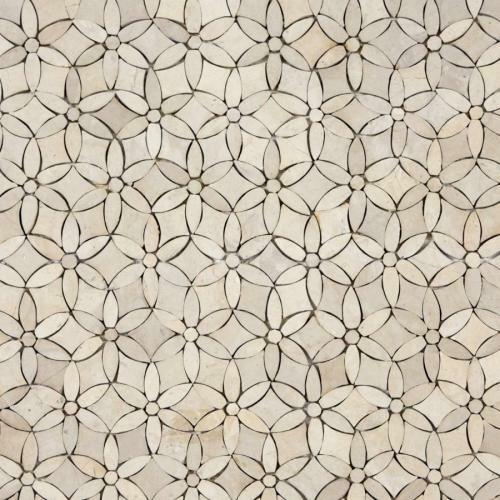 The Tunisian Range of mosaic tiles features multiple patterns. All are handcrafted from beautiful coloured stones and marbles gathered throughout Tunisia. The pieces, cut into slices and then into the required shapes, and then placed onto each pattern by local artisans.